So a few weeks ago we talked about Off-Page Optimization where the whole strategy there is to get inbound links and to do a good job of internal linking. So after you have mastered internal linking it’s time to get those external links. This can be extremely challenging and if you go about it the wrong way can sink a lot of time and still not feel like you are getting good results. So where should you focus? It’s pretty simple to rationalize too. If you don’t have incredible content on your site why is anyone going to link to it? Yes, you can force your way into getting “spammy” and lots of directory links, but after a point this simply isn’t worth the time. For a higher education site it is definitely not worth your time. Now we all know that college sites are extremely large and if you don’t believe that simply go run a Google Search using “site:schoolname.edu” and see exactly how many indexed pages of content your domain has. Now of course you want more and here are a few ways to create more pages of unique content. Blog: Every blog post is a unique page of content. 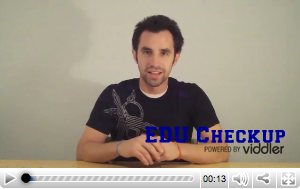 Do you have student blogs? How about professors that blog? Maybe you could have more or what about getting your newspaper staff to setup a blog? The possibilities are endless here. Blog posts are definitely the easiest and fastest way to get new pages of content and you can really dig into the culture and life of your campus through each and every post. Just make sure that your content creators understand a few of the On-Page Search Engine Optimization Best Practices before you let them run wild. What about a blog for your admissions office or mabye even Alumni blogs? Split Up Current Pages: One of the most obvious ones I see about this is FAQ pages that go on forever. Take each of those questions and turn the Q/A into its own unique page of content that can rank around those long tail keywords. Maybe some of your academic pages go on forever and ever because they list all the classes and requirements on one page. Could this also not be split apart? Remember it’s about the user experience, and people don’t mind clicking on additional links as much as we think they do. As long as the user experience is clean and clear more links and pages can be a good thing. Internal Site Search: Remember that useful internal site search is a great place to get a quick usability test. Do any of those searches look like evidence that you don’t have the perfect page to send the results to? Well go create that page for those visitors. Remember it’s not about what your site has it’s about what visitors want your site to have. So keep on focusing on content creation and be sure to do a great job of linking to other content across your site with keyword descriptive links. Then watch your search results go up and your visitors being more engaged. They are more engaged because you are providing them superior content linking to additional superior content! If you’re going to split up existing pages, it’s a decent idea to offer a way for your users to see all of the pages as one. So in the area where you put your pagination, include “View all as one page”. This is what salon.com does, and for many of their articles I go right to that much-appreciated link. ‘Tis true - content continues to be king. And an important element to creating that content: providing valuable information for your audience. At the University of Richmond, we launched a Web site redesign today after months of research and talking feedback from our audiences. Check out our new site at http://www.richmond.edu, or visit http://www.richmond.edu/web-intro.html for screen shots and info on how we went about doing the redesign. Kyle, you’re absolutely right on this thing. Most readers love he useful and informative contents. That’s why we should keep the blog’s update with fresh and copyscaped contents from time to time! You’d be surprised at the content people will actually link to. For instance a co-worker and I recently stumbled upon a jquery based CMS system. We created a small tutorial talking about it, and low and behold we got tons of traffic just from that. Very nice post Kyle. You gave me excellent ideas on how to build link like the splitting Up of current pages. A good reference especially for those who have just started doing internet marketing. In this world of millions of web pages if you can’t have conceptually unique and valuable content for visitors then it will be very difficult to reach your audience. Unique text and unique content are two different things, you should focus on unique content not on unique text. I agree with you that creating useful, quality, interesting, provoking and valuable content is the best strategy for gaining qualitative one way inbound links. IMHO the strongest blog from niche market will first comment and give his opinion about that kind of content and of course it will put from that article link which is the most valuable link because it is at the top of the page. It’s all about user experience regarding long FAQ web pages. All kind of web pages should be optimal length just like paper A4 format. Optimal number of words of one web page is about 700, optimal number of words of one paragraph is 70 so 10 paragraphs per web page is optimal as well. Readers of web pages don’t like too long paragraphs and too long web pages. Content is still king. Google has repeated themselves about quality content over and over again. You can naturally build powerful links by writing quality content. Hi just came across your blog and i thank you for your story it was informative. I am interested about link building for my website too. Have you used the scrapebox.com tool? If so is it good? If not then what is the best program? Thank you. Great article posted……………I am satisfy with your article. Thanks……………………..